This morning I got sent to the shops in -10 degrees to buy a few things for my grandmother, who hasn’t been feeling well. When I got back to her house (digits barely intact) she asked if I wanted to look at the her old photos. 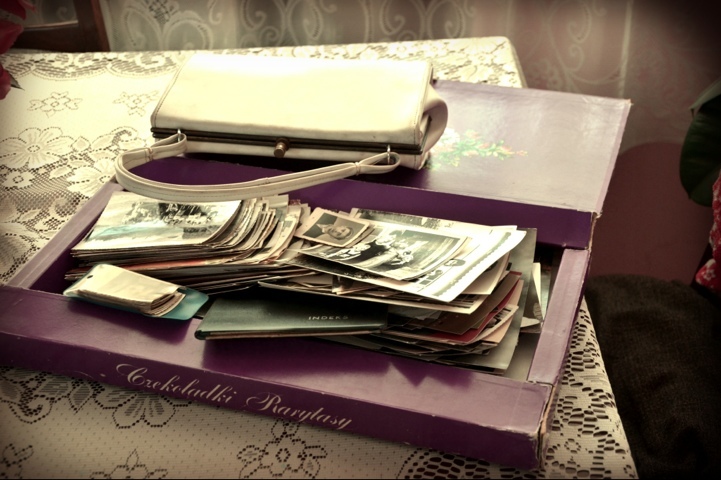 Of course I said yes, so she sent me to fetch the old chocolate box and white handbag where she keeps all of her old photos. 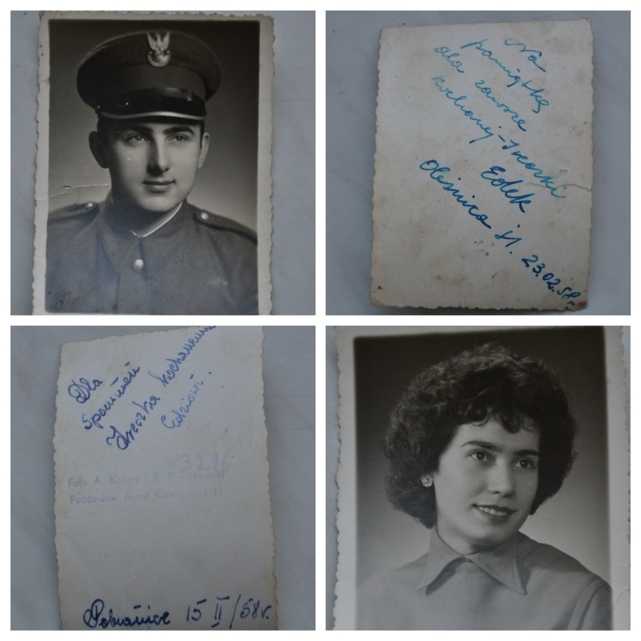 I’ve looked at these before but I never noticed the little love note photos before, that my gran and grandpa had sent each other before they were married. I love the digital photography age but tragically things like this have been lost along the way – the fact that photos were so expensive and there was no SMS, email or Facebook made notes like these extra special. 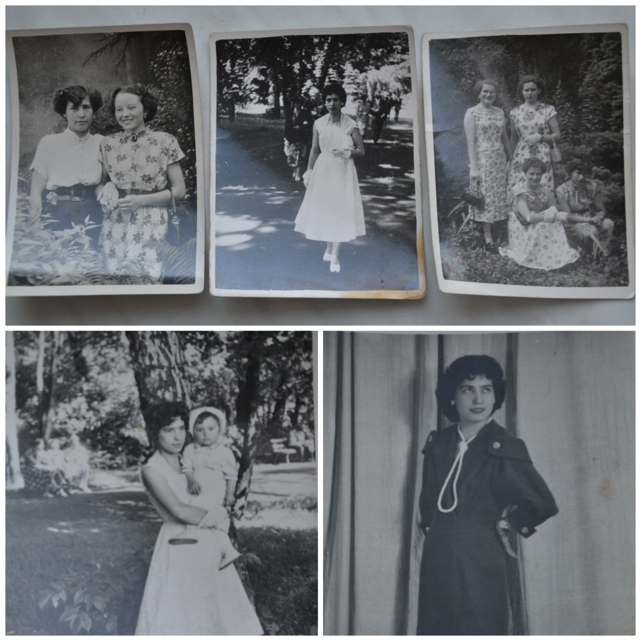 I also really enjoyed seeing some of my grans’s more stylish outfits. In some of the photos, if you look close enough, you can see her with the white handbag that the photos are now kept in. Thank you Mandy. I actually felt really bad this morning, she mentioned how when we were kids we used to write her letters and now we don’t. When I leave I will have to write to her. Thank you so much. And I agree there is something extra special about film, with the unknown and the waiting period. Would love to explore it one day. This is so lovely! Can’t get photos like those any more. So many can be taken so cheaply, the sentimental value on the few is lost. ): And theres nothing cuter than old love notes! Thank you, and you took the words out of my mouth. Imagine how exciting it was to dress up and go to have your photo taken, then to wait anxiously for it so you can send it to the one you love? Thank you Lisa, I really hope one day I will be able to sit with my grand kids and look at old photos together too. 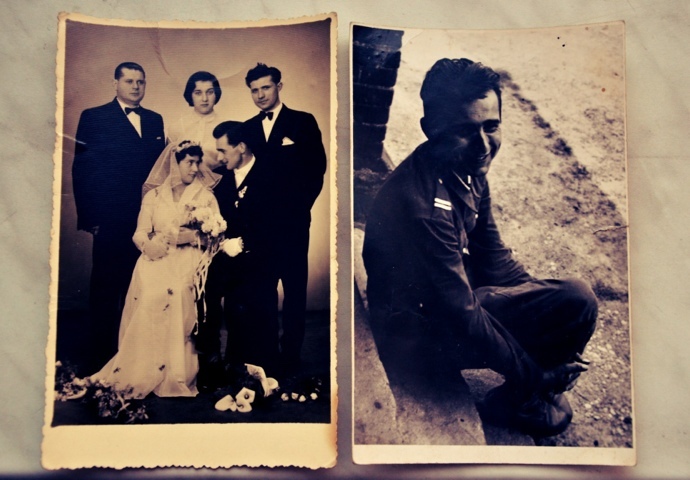 Real photos, with little notes on them and the colour of age. Not some 3D HD holographs or whatever they will invent one day.